University College London’s Hannah Proudfoot is conducting a study looking at the possible health effects of vaping or using a heat-not-burn device. If selected, participants will have to attend one or two sessions in London. They will be reimbursed with a £20 Amazon voucher and up to £5 in cash towards travel costs. Brexit will dominate the news this week so today may not be the best moment for Forest to publish a new report. Nonetheless the snappily-titled ‘Prejudice and Prohibition: Results of a study of smoking and vaping policies on NHS hospital trusts in England’ is topical for two reasons. One, it’s No Smoking Day on Wednesday. Two, on Friday (March 15) Labour MP Tracy Brabin will present the second reading of the Smoking Prohibition (National Health Service Premises) Bill. The UK E-Cigarette Research Forum (UKECRF) is an initiative developed by Cancer Research UK in partnership with Public Health England (PHE) and the UK Centre for Tobacco and Alcohol Studies (UKCTAS). The UKECRF looks at new studies on electronic cigarettes and provides a critical overview of each of them. This week it critiques research by the Boston University School of Public Health. The UKECRF brings together policy-makers, researchers, practitioners and the NGO community to discuss the emerging evidence and knowledge gaps about e-cigarettes. Big tobacco companies have announced their support for raising the minimum age to purchase nicotine products in jurisdictions all over the United States. This creates a dangerous precedent as these large companies claim that they speak on behalf of the vaping industry regarding this issue. Now, the vaping industry speaks up. Large tobacco companies have never been consistent when it comes to the acceptance of electronic nicotine delivery systems and other alternative nicotine products on the market. Corporate powerhouses like Altria and Reynolds American have all worked, in some capacity, against the rising consumer phenomenon that is vaping. It’s no surprise that with this renewed focus on nicotine—and ensuing FDA-driven fear-mongering surrounding products that contain the substance, even if they don’t involve combustion of tobacco—people are more confused than ever about what nicotine is and what it does. Does it cause cancer? Will smoking a cigarette or vaping instantly make you addicted? Does it cause brain worms? The McKell Institute published today a report titled ‘Legalising Vaping in Australia’ which explores the regulatory framework surrounding vaping as a means of tobacco harm reduction in Australia. The report finds that ‘legalising vaping has enormous potential to improve public health, particularly for disadvantaged smokers who are disproportionately affected by smoking-related diseases’. The McKell Institute is an independent, not-for-profit, public policy institute dedicated to developing practical policy ideas and contributing to public debate. All states and territories in Australia have adopted tobacco control policies that make the possession of nicotine e-cigarettes or vaporisers, a criminal offence. A vaper in Western Australia could face a fine of $45,000 while another could be imprisoned for up to two years in the Australian Capital Territory or Tasmania for possessing nicotine e-cigarettes. Australia has a complex system of laws around vaping. Under Commonwealth law it is illegal to possess or use liquid nicotine in Australia for vaping without a prescription. Why do some parents let their kids smoke JUUL? How valid is research linking e-cigs to heart attacks? Hundreds of Tennesseans who visit our independently-owned shops have shared stories about how vape products helped them reduce or eliminate smoking altogether. One of our member shops has a wall of customers’ last pack of cigarettes, signed and dated. A former smoker myself, I found freedom through vaping when other quit methods failed. So it’s no surprise, with such compelling stories, that vaping has grown in popularity with adult smokers. In September last year Derek Yach, former World Health Organization cabinet director and developer of the Framework Convention on Tobacco Control (FCTC) – so basically a tobacco control hero – announced the formation of the Foundation for a Smoke-free World (FSFW). As I wrote at the time, the massed ranks of state and pharma-funded tobacco controllers were outraged at this because it is funded by a tobacco company which has stated that it will have absolutely no input into how the money is spent. The bloodlust of the critics of the Foundation on display here is vile – an unethical and mindless reflex response to innovation. The tobacco warriors are now explicitly defining their mission as a war on Big Tobacco, and not a war on disease. While these may have been one and the same some years ago (it was never the case for smokeless tobacco), now is exactly the wrong time to double down on a war with Big Tobacco (see David Sweanor’s post: Tobacco control and the tobacco industry – a failure of understanding and imagination). 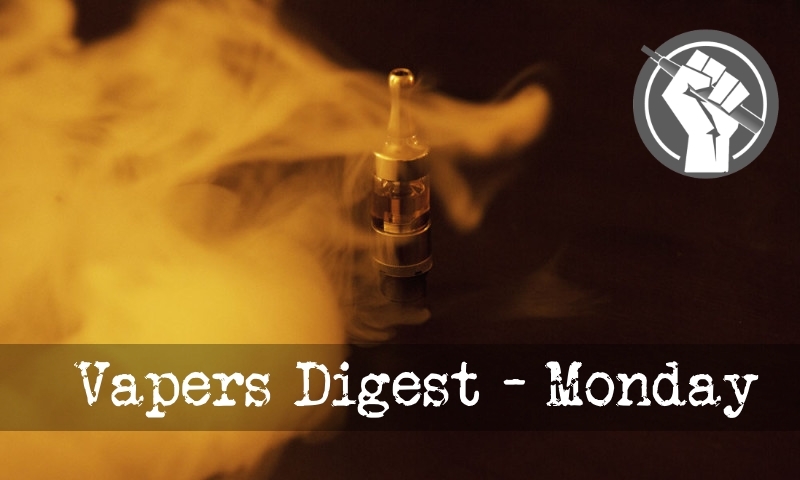 This week, tobacco controllers from all over the world gathered in Cape Town, South Africa for the largest of their hate-filled pep rallies. You can check out the Twitter tag #WCTOH2018 for a view into the unfettered id of tobacco control, because in these echo chambers any modest restraint ultimately dissolves. The tag also offers a collection of responses to what is being presented there — cogent criticisms, hilarious quips and damning accusations.